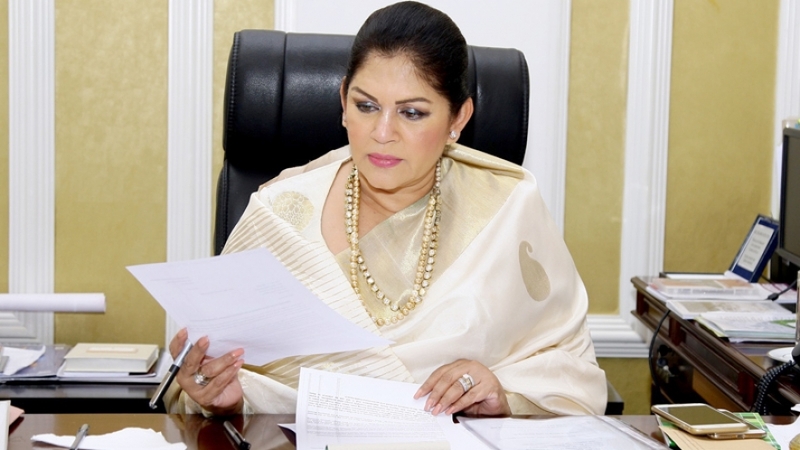 Colombo Mayor, Rosy Senanayake instructed the Colombo Municipal Council (CMC) Commissioner to suspend all fines charged from parking meters in the city, today. The Mayor through her official twitter account tweeted, “With regard to the recent complaints on parking meter fines. Pending council approval, I have given instructions to the commissioner to suspend all fines charges relating to parking meters”. The new parking meters set up around Colombo have caused a stir among the general public with not only the system of payment but also with many not being aware that a parking meter functioned in the area, thus running fines amounting to several thousands. The media recently reported an incident where a man in Wellawatte who had failed to pay his parking fee of Rs 30, had been fined Rs 10,120 after a lapse of 13 days. His complaint went viral on social media with the mayor as well as opposition members assuring that the matter would be resolved. CMC member Milinda Rajapaksha on his twitter on May 15 stated that the CMC had discussed the issue of parking meters at its council meeting and that they had discussed the need to restructure the fine and operating system of the parking meters. In 2015, the CMC signed a public private partnership agreement with Tenaga Car Parks (Pvt) Ltd to manage several parking locations in Colombo. The company has been authorized to manage the parking meters and collect the fines. Tenaga accordingly manages parking along Galle Road (from the Galadari Junction to the Dehiwala Bridge) and Duplication Road (from Liberty Plaza Junction to Dharmarama Road), including all intersecting by-lanes.